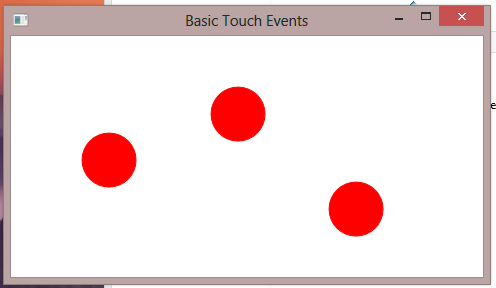 WPF includes a set of events for handling raw touch input. These events are defined for all UIElement, ContentElement, and UIElement3D objects. Below is a simple example that allows drawing using touch. We’ve defined event handlers and attached them to a main Canvas element. A red circle is drawn at the TouchDown point and a blue circle at the TouchUp point. 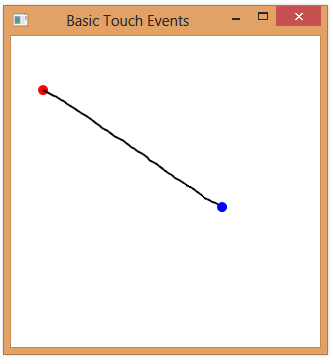 A continuous line is drawn as the user moves their finger across the screen.